Spring elicits an abundance of pleasing visuals. Magnolia trees come to life with blossoms that gradually transition from white to pink. Forsythia bushes explode with bright yellow flowers that add instant colour to a world that is just beginning to green. Front lawns quickly coming alive with both the rich green of new grass and the bright yellow of dandelions. Gardens, not yet awakened by inaugural hoeing and weeding or enveloped with richly scented mulch, are speckled with purple hyacinths, red tulips, white crocuses and yellow daffodils. But today it wasn’t the sights of spring that caused me to reflect, it was the sounds, as I drove through the city running various errands. Children playing at recess at a nearby school yard. I hoped that their entire instructional day had been filled with such opportunities to talk and share. But if not, then at least recess provided that much needed environment for laughter. Two blocks away, there was a large group of secondary students making their way around their outdoor track, some engrossed in their smartphones and some engaged in conversations. Music was playing as they walked. 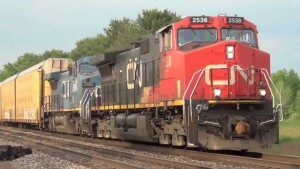 As I waited at a set of traffic lights and continued to listen, I became fascinated with the various and diverse sounds made by the cargo train travelling down the tracks. Steel on steel…at times sounding smooth and at times sounding full of resistance and screeching. At that same set of lights, the familiar beep, beep, beep of the crosswalk indicator was clearly audible. As I continued along my way, the traffic became more congested and I found myself driving alongside of a gentleman who was enjoying the sounds of Prince singing “Raspberry Beret”, and I couldn’t help but let out a smile as the driver was happily singing along. The next set of traffic lights was busy with pedestrians. There was the rolling of a wheelchair with the gravel embedded tires making their way along the sidewalk and then there was the sound of the summer flip flops, rhythmically coming in contact with the bare feet, with a familiar slapping sound ~ a sound synonymous with warm weather. As I neared my final destination my thoughts drifted back to the first sound that I noticed ~ children on a playground at recess and I couldn’t help but wonder how much time do we spend giving our students opportunities to really “listen” to sounds other than the sound of our voice as an educator. Something to think about ~ or should I say something to listen to. What sound are there in your classroom for your students to listen? 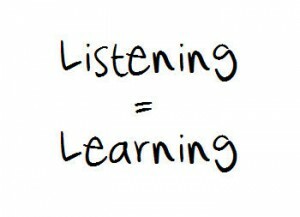 Do you take them outside the four walls of your classroom and provide them with opportunities to listen?